Losing weight isn't easy. Period. Can I get an Amen? But with Christ by our side, anything is possible. How can we resist the cravings and temptations that surround us daily? With truth! Replace the lies you've believed about food with thoughts that reflect Biblical truth. Read the Bible and memorize verses that help you see yourself and your relationship to food truthfully. Absorb them into your soul. Store them near your heart so they'll be there to encourage you when you face temptation. 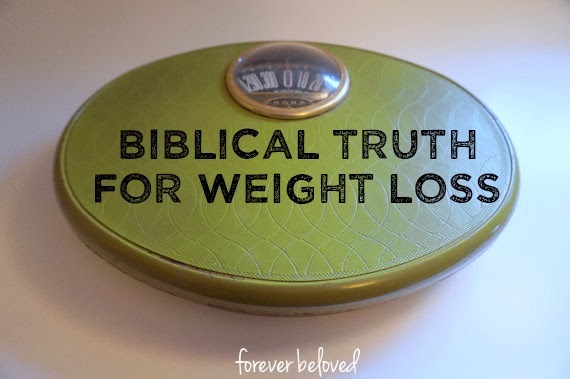 Together let's look to the Lord and vow to press on toward our weight loss goals. For God hath not given us the spirit of fear; but of power, and of love, and of a sound mind."